UPDATE - 16:53 CET The European eShop now updated the listing, with a set time at 16:00 UTC! EarthBound is now really really confirmed. 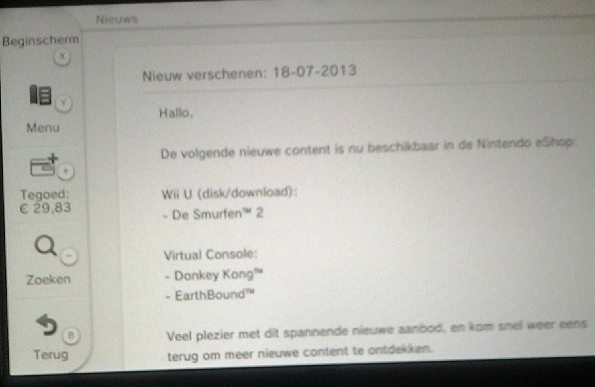 On the European Wii U eShop, it states that EarthBound is coming out today. It is not up on the Nintendo eShop though, so I asked Nintendo to comment on the situation. As for Nintendo of America, take a look at this. That is quite convincing, isn't it? I will keep this story updated!